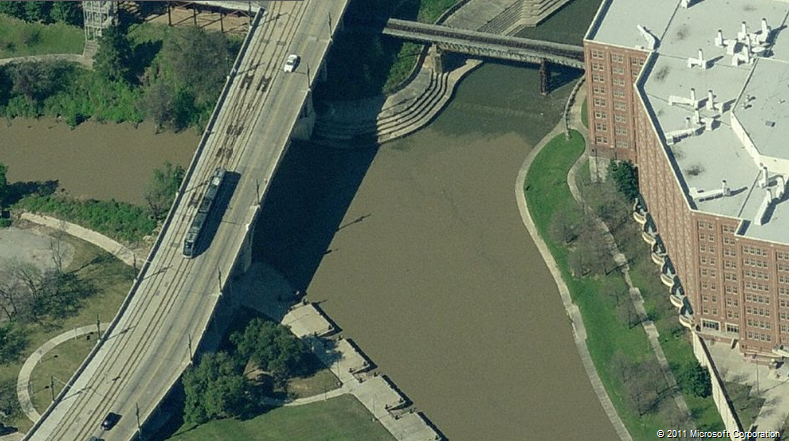 I'm not saying I have a solution (or that green stormwater infrastrucutre would solve all of Houston's drainage and flooding problems - undoubtedly not) or that I would have made better decisions myself given knowledge at the time these systems were considered. I'm just saying... take a look at these images from Bing Maps and tell me what you would recommend. 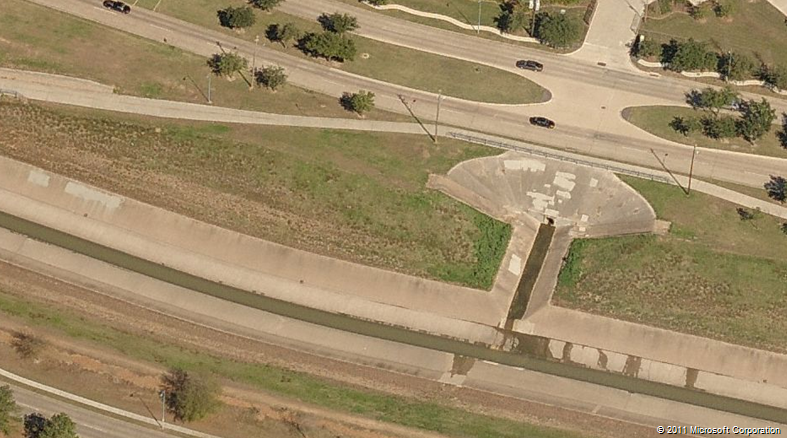 My major questions: Why was it necessary to purposefully make your catch basin entirely impervious? Why was it necessary to drain that forested area? 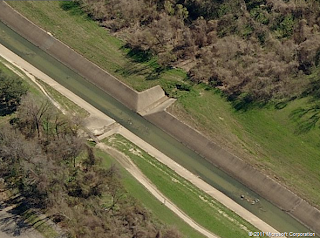 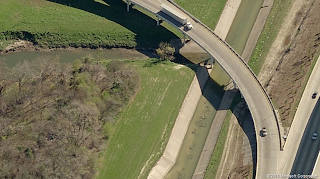 Why was it necessary to funnel that natural stream into the cement bayou?